A Little baby girl has been rescued from a Storm Water Drain in Newlands East on Monday morning just after 6am. Rescue Care Paramedics arrived on the scene on Barracuda Road and Herring Circle just after 6am after concerned residents heard a baby crying in a storm water drain. A bystander climbed down the drain and saw the baby a few metres down. Immediately all Emergency Personal were dispatched to assist. Durban Fire Department located the baby and between all authorities a Rescue Plan was put in place. It was decided that the area where the baby was assumed to be was to be dug up and access gained to the concrete drain. Once the drain was accessed it was decided for safety reasons to use a chisel and a hammer to break into the drain. The baby was then located and extricated by Durban Fire Department to awaiting Advanced Life Support Paramedics. 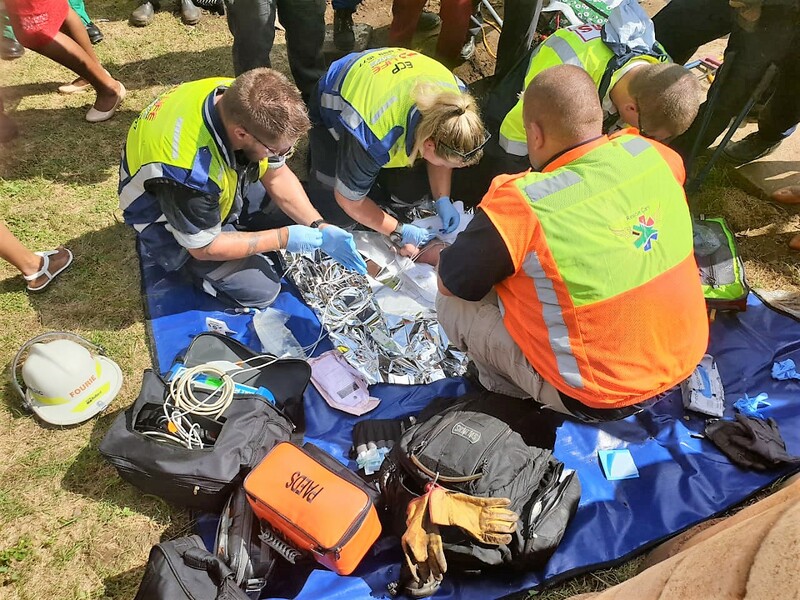 The baby was assessed by Paramedics before being flown to a appropriate hospital in Durban. AT this stage the events leading up to why the baby was dumped is unknown however SAPS were on the scene and will be investigating.